I am still in amazement at how these wines only cost $7 per bottle. I had a rough week this week and I really needed something to relax and soothe me over the weekend. Flip Flop wines really came to the rescue. I never really liked wine at the beginning. It really all began with my future MIL and drinking wine with her led to my eventual love for wine. Weird, isn't it? I was sent 3 different bottles of wine for my sampling. They consisted of California Pinot Noir, Pinot Grigio and Reisling. Now, I'm not a wine expert, so I'm not going to act like one. I'll tell you what I did. On each bottle, there's a little bit of information about that particular wine on the label and its awesome! It teaches newbies like me what foods are suggested they go with and if you need to refrigerate before drinking or just keep it at room temp. I truly appreciate that since I drink what's given to me normally so I wouldn't know what's what. The Pinot Grigio and Resiling were more fruity, which I really liked. It had just a light hint of sweetness and fruitiness in it that made it very pleasant. The Pinot Noir was unique in its own way and I still loved it. Each bottle was very different but yet elegantly delicious in its own way. Besides that, I was totally by the flip flop designs on the cap and the label. So cute and fresh! Flip Flop wines really is a great group. Besides the wine, they also do some great charity work. On a normal basis, they donate 1 pair of flip flops per bottle of wine purchased. They are also currently working for Soles4Souls and running shoe drives. These shoe drives will collect shoes for third world countries. Now, as much as I'd like to be a part of this, my schedule doesn't allow me to have time for a shoe drive. However, if you are interested, go for it! Its for an awesome cause and you could win a trip for two to an international destination and do a good deed too. I will contribute my share by going to a local donation box and dropping off my gently used shoes that I no longer wear so that someone else may benefit from it. You too, if you don't have the time to do a shoe drive, you can still do something by going online and finding the shoe donation box nearest to you and dropping your lightly used shoes off. Do some "Flipping Good Deeds"! 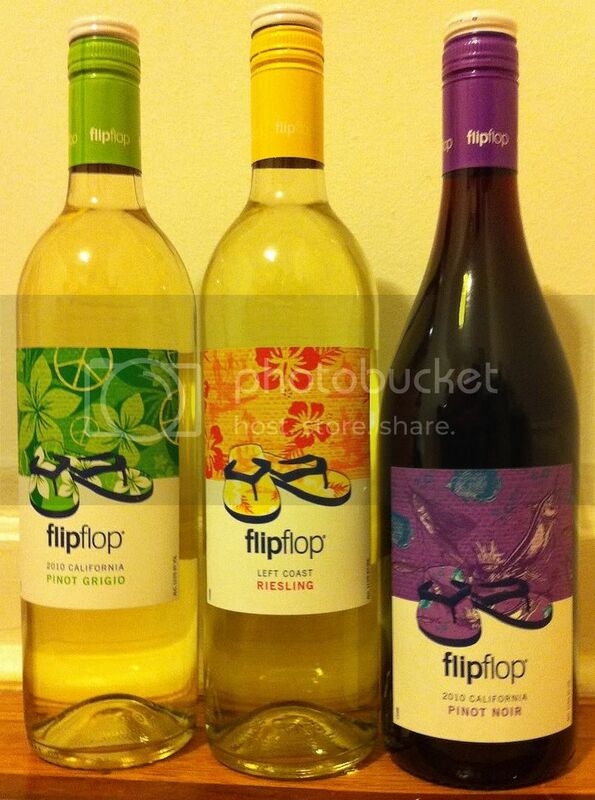 Buy It: Flip Flop Wines can be purchased online. Where else can you get award winning wine for $7!? Great price for wine - I'll have to check it out! And just such a fun name!